If you want a replacement gutter system installed efficiently and precisely on your Dayton, Ohio, home, choose 31-W Insulation. Our family-owned and -operated company has been the premier provider of home improvement solutions in the region since 1972, so you can be confident that we have the knowledge to help you enhance the comfort and functionality of your home. 31-W Insulation offers and installs seamless gutters by Spectra Metals, a top name in the industry. Constructed from heavy-duty aluminum alloy, these gutter replacement systems are built for longevity. And, because they lack seams, not only are they less prone to leaking and falling apart compared with regular gutters, but they also give your roof a cleaner, more attractive appearance. These gutters also come in your choice of more than 20 beautiful colors so you can find an option that complements the exterior of your Dayton, OH, home. 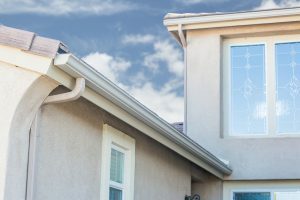 Only our trusted employees will install your new seamless gutters – never subcontractors – to ensure strict adherence to our high standards of customer service and workmanship. Your seamless gutters will be measured and cut onsite to fit the dimensions of your home perfectly for long-lasting performance. You will have peace of mind knowing that your purchase is protected by a 20-year limited manufacturer’s warranty. You can also expect to be totally satisfied with every aspect of our service. That’s because we have an abiding commitment to customer satisfaction as reflected in our longstanding A+ rating with the Better Business Bureau. If you would like to know more about the premium gutter replacement services we offer residents of Dayton, OH, contact 31-W Insulation today.